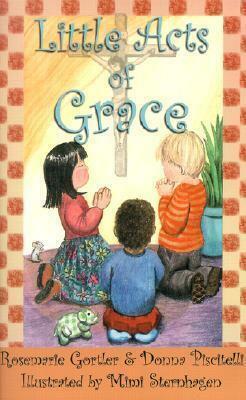 There's no better way to introduce children to Catholic customs than this little book. For children preschool to 9 years old. These little customs will comfort your children for the rest of their lives. Why do some people kneel on one knee before they sit down in Church? Or bow their heads when they hear a siren? These are the little things that mean a lot to God. They're our way of showing how much we love God, and they're easy to do. There's no better way to introduce children to Catholic customs than this little book. It's written in a bright, cheerful style that children will love. And it doesn't just explain these little devotional customs - it makes the children want to do them, too. For children preschool to 9 years old.